Former US President Barack Obama supported, on Saturday in Berlin, the mobilization of young people, every Friday, against lack of action on climate change. "The sooner they start, the better",said Obama in a debate with a group of young people in the German capital. 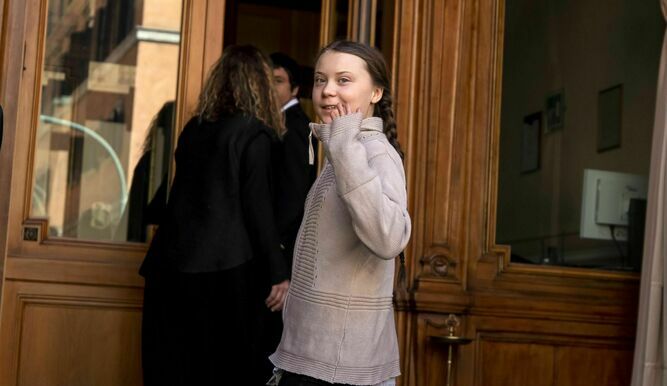 The ex-president gave his support to the protests of the adolescents, initiated by the 16-yeqr-old Swedish Greta Thunberg, every Friday to demand intensification of the fight against climate change. "A lot of these people cannot vote, they're still too young to vote, but they know what's going on," Obama added. "They would not let their grandparents decide what music they listen to, or what clothes they wear, why would they let them decide which world they are going to live in?" He asked. The comments are the responsibility of each author who freely expresses his opinion and not that of Newsroom Panama. Please, enter a valid message. Please validate that it is not a robot.